Ever wanted to Cast something from your desktop or laptop that wasn’t just a tab? 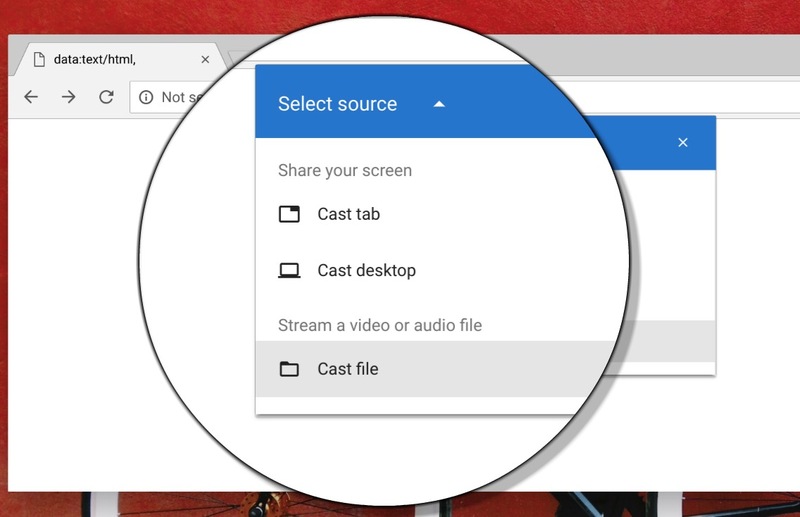 Google has added a new “Cast file” option to Chrome Beta that will let you Cast local audio or video files. The option isn’t showing for me yet, but it will show as a Cast option when you select a source to Cast from, along with “Cast tab” and “Cast desktop.” You can apparently force the feature to show using instructions found here. Google doesn’t exactly recommend doing that, though, so being patient might be best here. Once there, the idea of being able to grab a local music file or video file that you’d like played on a big screen or Cast-enabled audio device would be incredibly handy.